If there’s one thing that stresses me about makeup it’s getting it to stay looking flawless all day and not wear off or end up patchy and horrible. This is where a setting spray comes in. I now always spray my face once I’ve finished my makeup and it helps my makeup look flawless even up until I’m off to bed. 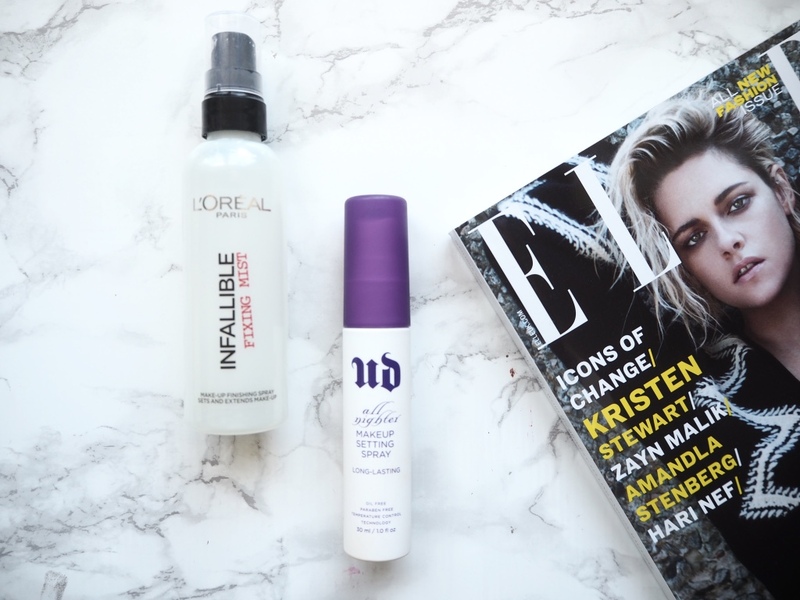 I’ve now tried both the most popular budget and high end variations; The L’Oreal Infallible Fixing Mist and Urban Decay All NighterMakeup Setting Spray. Obviously there is the price difference between the two. The L’Oreal one is £7.99 for a 100ml bottle, whereas the UD one comes in two sizes, a travel size 30ml for £9 and a full size 100ml for £19. Clearly the L’Oreal one you’re getting the same amount of product for less than half price, but is the UD one worth the price point?! I would personally say neither of them has amazing packaging or premium quality. They are both in a plastic bottle with a spray nozzle for application; however, the quality of the UD one feels a little better and heavier. I have also found the spray nozzle for the UD is much better and nicer to use, it sprays you with a mist rather than a splatter of liquid like the L’Oreal one. Before I got the UD one I would have said the L'Oreal one was the best setting spray I had tried but the UD one is just such a better finish and feel on the face. The L'Oreal one is obviously a matte finish so a little more drying than the UD one that just secures your make in place. As I said before the UD also applies a lot nice as more of a mist instead of a spray. 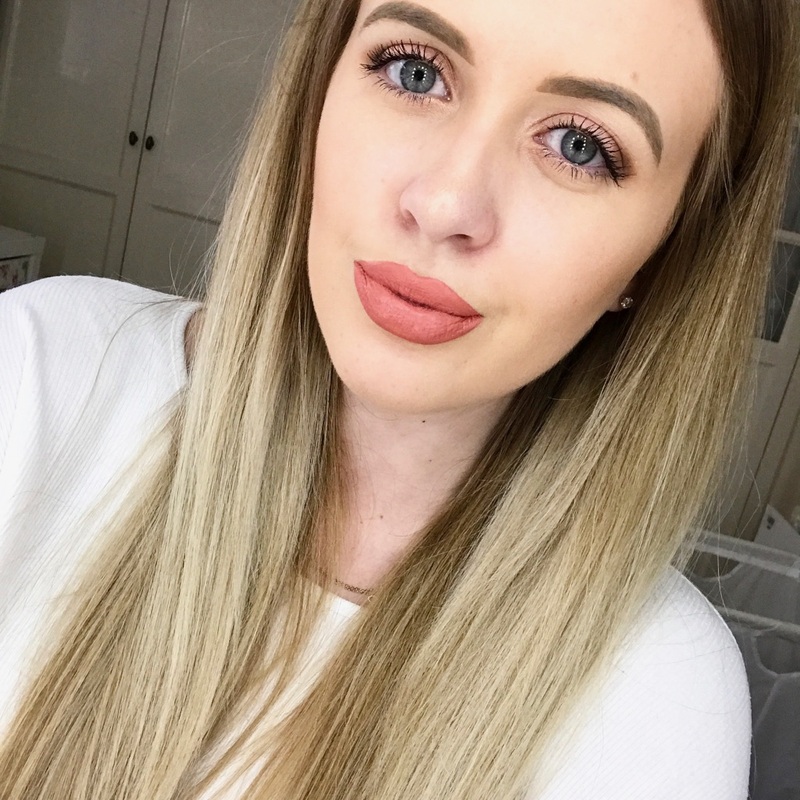 Overall I have to say between the two I think the L'Oreal one makes my makeup stay in place a little longer, however, I do think it does help that it mattifies my makeup unlike the UD one. Both do help my makeup last longer and it doesn't wear away or go patchy like it would without a setting spray. I would have to say because of the luxuriousness of the UD one that would be the one I'd go for, it doesn't leave tiny splatter marks on my face like the L'Oreal one does. I also suffer with dry skin especially in the winter so I know the UD one will be better for me in the cold months. I would say though if you didn't want to splurge on the UD one straight away then the L'Oreal one is great for being from the drugstore! Have any of you tried these setting sprays? I love the Urban Decay setting spray, it is so good! I love the UD setting sprays they are SO good! I haven't tried either of these! Love the review, definitely wanna give both a go!